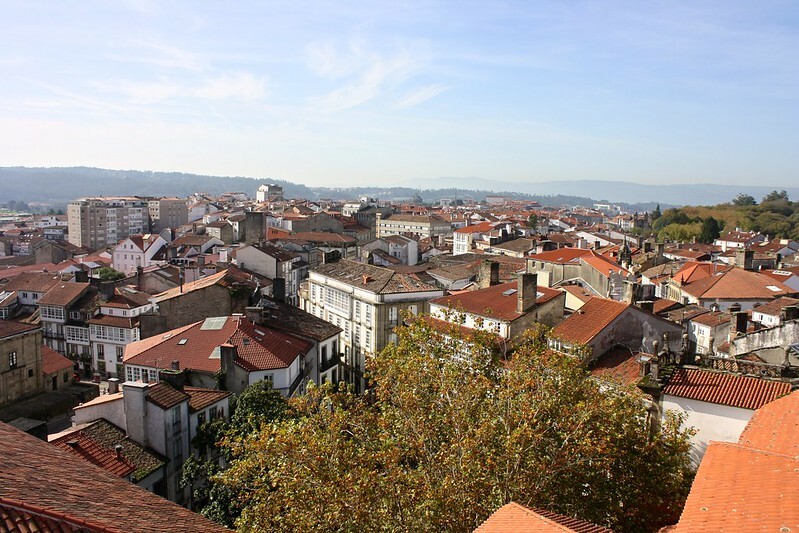 As I began my final year teaching English and living in Santiago de Compostela, I decided I had better get workin’ on my “Spain bucket list” before it came time to move back home to Texas. 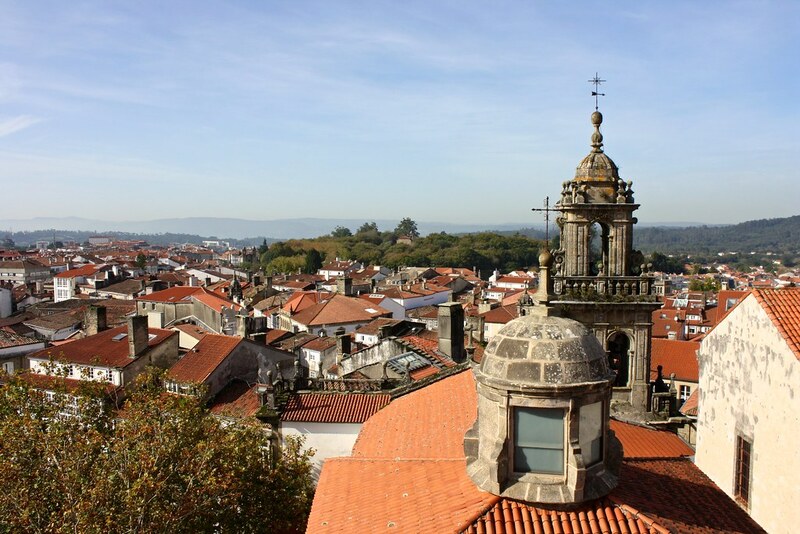 One of the items on this list involved going on a guided tour of the historical buildings that belong to the University of Santiago de Compostela, the major university in northwest Spain. 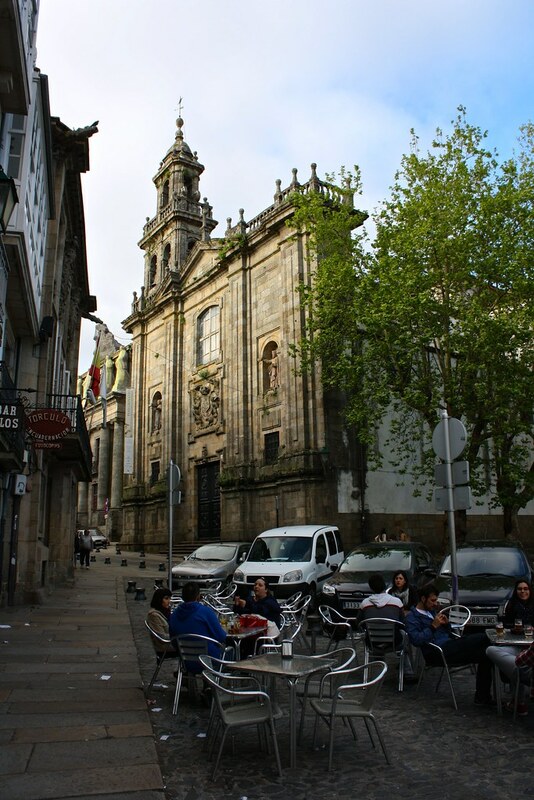 Although most folks know of Santiago as simply the endpoint of the Camino de Santiago pilgrimage route (and home to a pretty fine cathedral), the city also has a tradition of higher learning that dates back to the 1500s. This guided tour gave me a more complete look at buildings I walked past every day in the old town while giving me access to spaces normally off-limits to casual visitors. 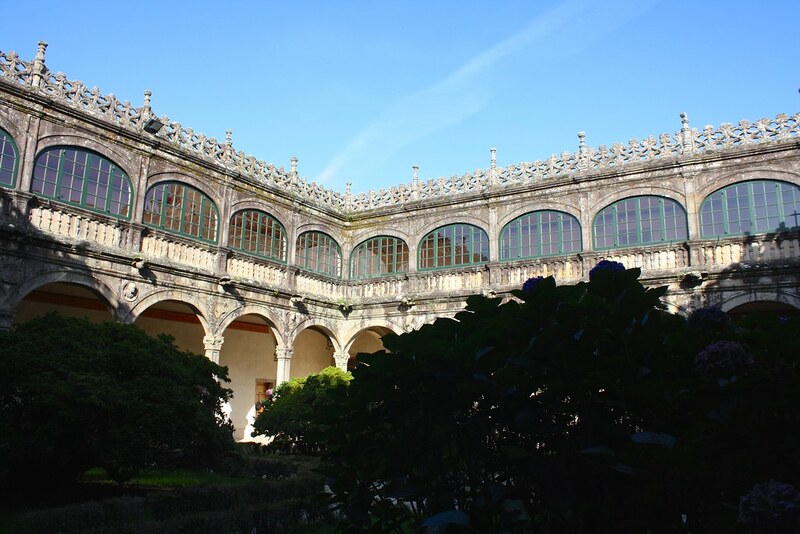 The tour starts at the cradle of the city’s university, the Colexio de Fonseca. The college began as university founder Archbishop Alfonso de Fonseca’s family mansion but was converted into the first permanent meeting place for the nascent university. 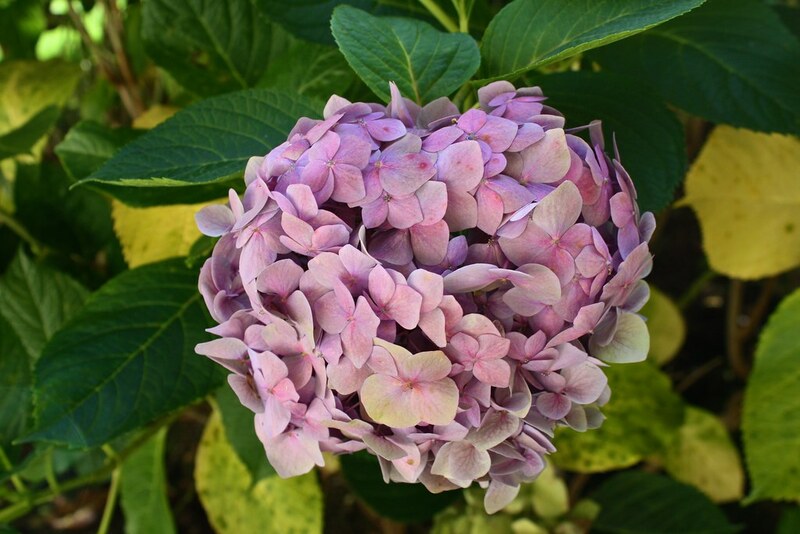 This Renaissance palace seems to recall the stately structures of the University of Salamanca, where the archbishop had studied theology, but it has a distinctly Galician twist: colorful hydrangea bushes add a touch of color to the grayscale granite courtyard. You can freely enter the patio at any time, but you’ll need a tour guide to let you in to some of the college’s real treasures, like the Biblioteca de América. 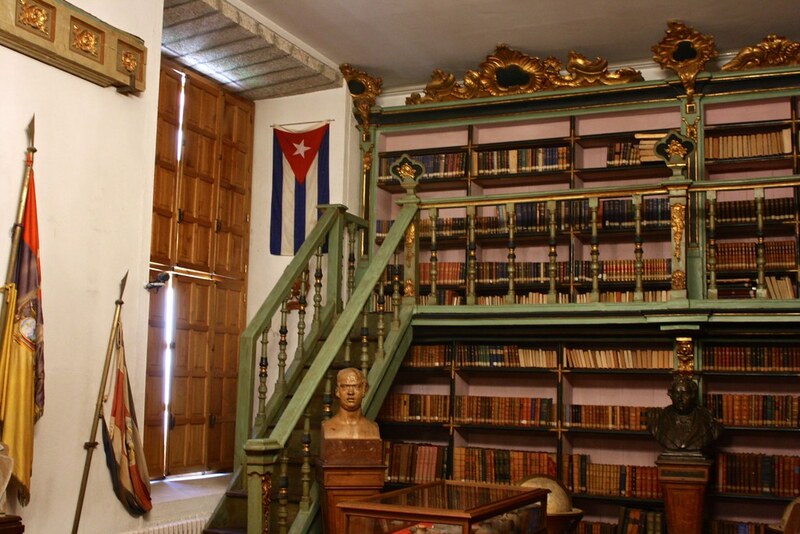 This “Library of the Americas” holds in its gilded green shelves over 30,000 volumes dedicated to Latin America-related topics, and was founded by a Santiago local who emigrated to Argentina, Gumersindo Busto. Some highlights of the library’s rare books include a first edition by Lord Byron and a Book of Hours that belonged to King Fernando I of León in the year 1055. Right next door to the College of Fonseca you can find the smaller Colexio de San Xerome, which the archbishop commissioned as a college for poor students and artists (not sure if those two categories overlapped). It originally stood on the other side of the cathedral in front of the sprawling Monastery of San Martiño Pinario, but the Benedictine monks ultimately bought and absorbed the building into their lands. In 1652, the university managed to salvage the school’s original medieval façade, inserting it into the north wall when the current building was constructed. 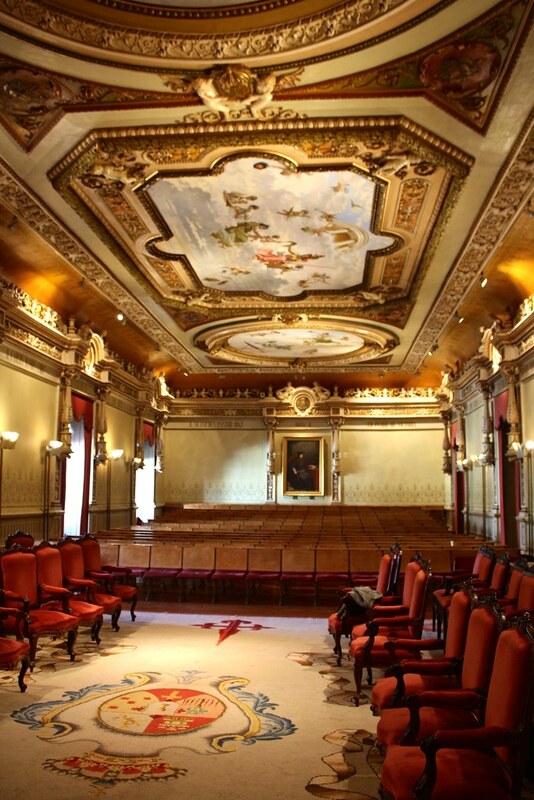 When King Carlos III ordered the Jesuits out of Spain in 1767 (the religious order was later suppressed by the pope six years later…it’s a long story), their property was handed over to schools and universities. In Santiago, it was decided that a Neoclassical central hall would be built for the university on the former Jesuit land. 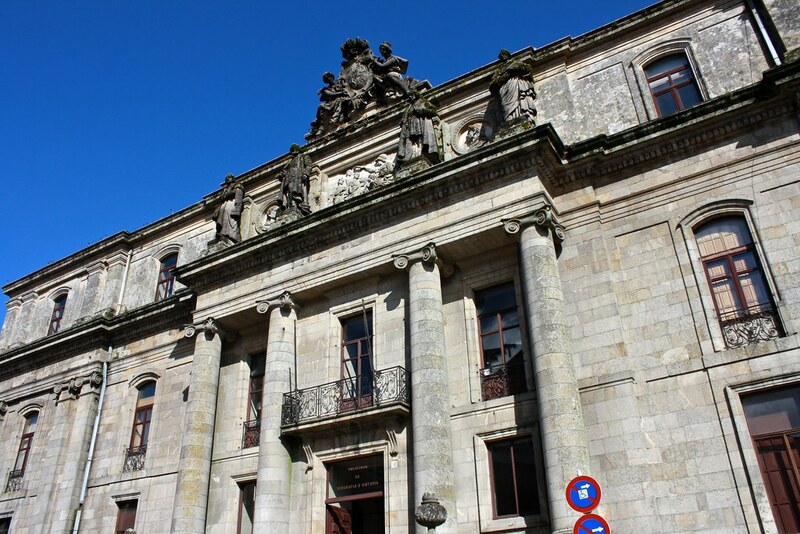 It’s long since been overshadowed by the sprawling twin campuses to the west and to the north of the old town, but the Facultade de Xeografía e Historia still has some surprises up its sleeves. On one of the upper floors, hidden behind unassuming heavy doors, you can find the university’s paraninfo or auditorium where major ceremonies, scholarly conferences, and thesis defenses are held. Dripping in gaudy ornamentation like allegorical ceiling frescoes and gold-leaf sculptures, this sumptuous hall would be a worthy scene for any official university ceremony. 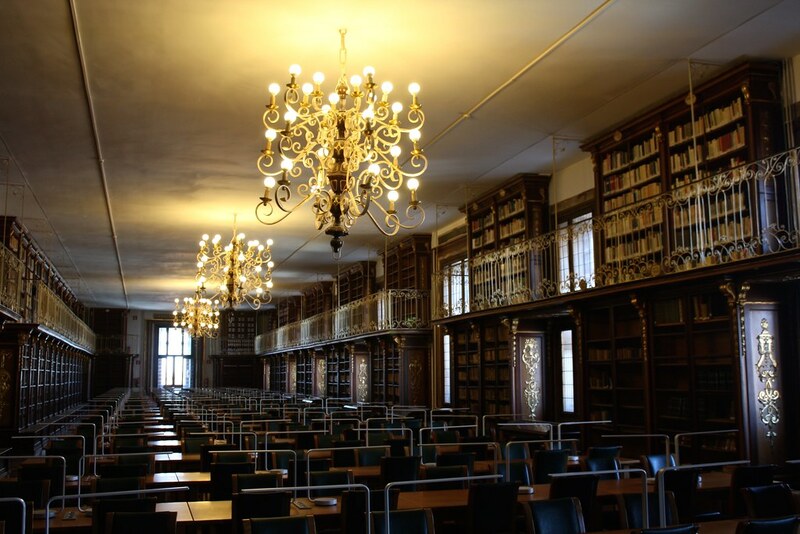 Nearby there’s also the salón de lectura, a “reading room” where you can study and work on papers at modern desks with power outlets and LED lamps alongside centuries-old books and gilded railings. I may be a little jealous, having spent many an evening at my college’s library…which dated from the 1980s. 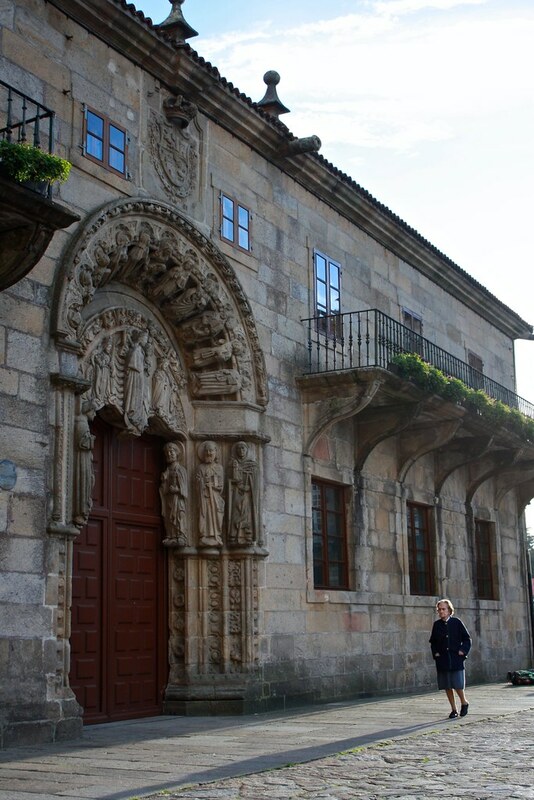 Finally, abutting the School of Geography and History is the Igrexa da Compañía, otherwise known as the old Jesuit church. Even though it’s been de-consecrated and turned into an exhibition hall, it still holds some dazzling, towering Baroque altarpieces within. Right outside the church doors begins a row of cheap bars and restaurants that students flock to for weekday lunches and afternoon breaks. I’m a sucker for lookout towers with panoramic vistas, so it shouldn’t come as a surprise that my favorite part of the tour was getting to climb up to the School of Geography and History’s rooftop patio. 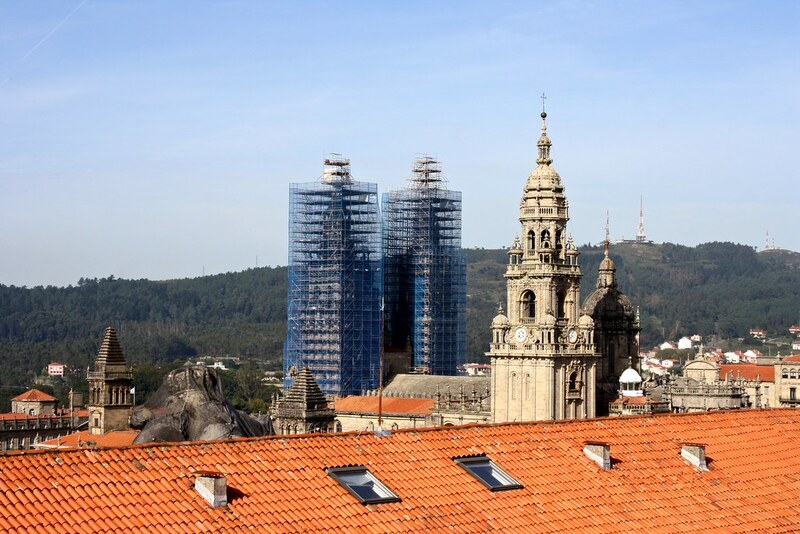 Since the building is centrally-located in between the older and newer parts of town, it offers 360º views of the city: the Alameda Park, Monte Pedroso, the cathedral, Belvís Park, my apartment (! ), and even the boring streets in the new zone where I would run errands every day. I really enjoyed seeing the city from a different perspective than the one I normally get on my feet. Guided tour groups leave from the College of Fonseca (Rúa do Franco, 3) weekdays at noon and 4:30pm, and at noon on Saturdays, too. The tour ordinarily costs 7€, but if you’re a university student or have a Carné Joven, it’ll run you 5€. Have you ever explored a historic college campus before? Share your experiences in the thread below!